This Maths Brain Twister is for school going students. In this Maths Brain Teaser, there are few numbers given inside and around the rectangles. These numbers relates to each other with some Mathematical pattern or sequence. 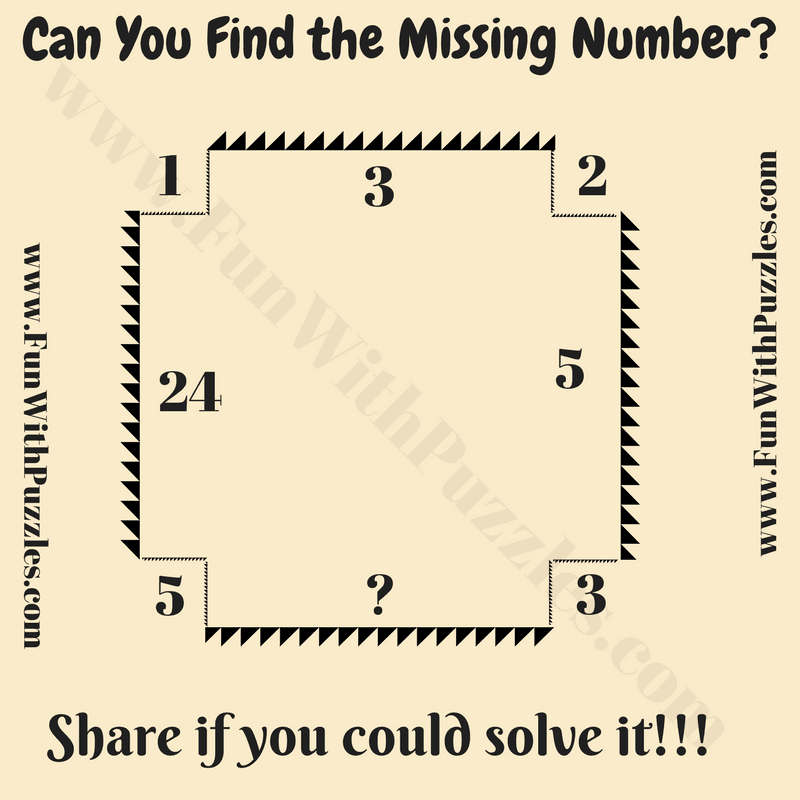 Your challenge is to find this pattern or sequence and then find the missing number inside the Rectangle which will replace the question mark? Can you solve the Brain Twister Puzzle of Maths? 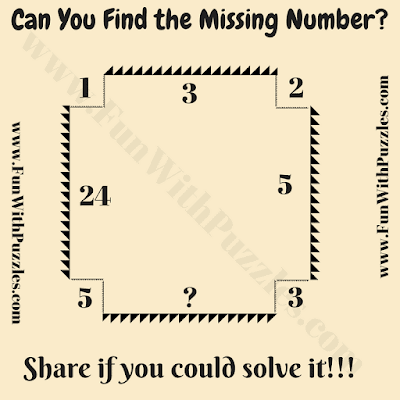 Answer of this "Brain Twister of Math for Students", can be viewed by clicking on button. Please do give your best try before looking at the answer. Number inside the Rectangle is absolute difference between the squares of the numbers outside Rectangle which are along the same edge. It means 5x5-3x3=16.